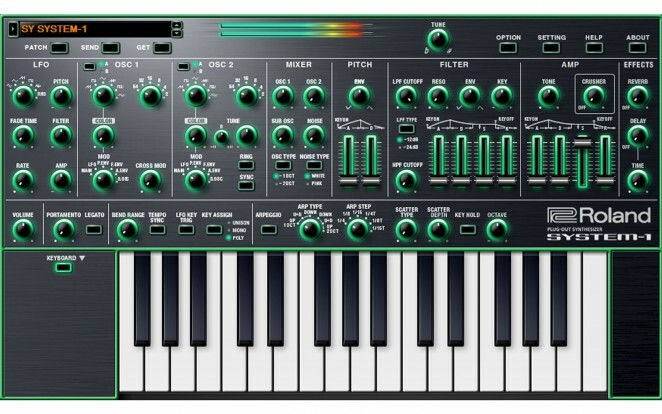 Another great new product released at summer NAMM in Nashville was Roland’s soft synth version of their acclaimed System-1 synthesizer. You can now get all the sonic power and versatility of the acclaimed SYSTEM-1 synthesizer in a VST and AU compatible plugin. Like the SYSTEM-1 hardware, this software version breaks new ground with remarkable flexibility and a vast palette of stunning sounds. It has the bold, unmistakable character associated with Roland synthesizers for over four decades. For SYSTEM-1 hardware owners, the software provides advanced editor/librarian functions and total DAW integration. For in-the-box producers, it delivers the mighty sound of the SYSTEM-1 without the need for hardware.